With constant news about data breaches, worries over credit card fraud are far too real for consumers. Fraud losses related to credit card use total roughly $22 billion annually, and the cost of fraud is on the rise. The good news is consumers are shielded directly from the cost of this fraud, as federal laws require that merchants, the credit card issuers, and financial institutions bear these costs. The bad news is fraud creates a significant hassle for consumers, as well as indirect costs. We’ve compiled some key facts about credit card fraud that can help you understand this issue and figure out how to better protect yourself. • According to the Nilson Report, credit card fraud losses globally were $21.8 billion in 2015. This compares to $7.6 billion in 2010, $4.3 billion in 2005, and $2.7 billion in 2000. • Card issuers bear the majority of costs involved in credit card fraud at roughly 72%, according to the Nilson Report. Merchants pay for about 28% of fraud costs. • Card fraud is rising, according to Javelin Strategy & Research. Last year, it was up 40% year over year. • The introduction of chips in a credit card, called EMV (Europay, Mastercard, and Visa), is reducing the frequency of card-present (CP) fraud. These chips are reducing the number of counterfeit or stolen cards being used in person. • The fastest growing type of fraud involves credit cards uses in e-commerce or phone transactions, called card-not-present (CNP) fraud. The EMV chips in cards don’t help security for CNP transactions. • As criminals try to work around EMV chip security measures, new account fraud is also rising, according to Javelin Strategy & Research, up 113% year over year. • U.S. consumers make the highest percentage of e-commerce purchases, which leaves merchants and consumers in the United States vulnerable to CNP fraud. 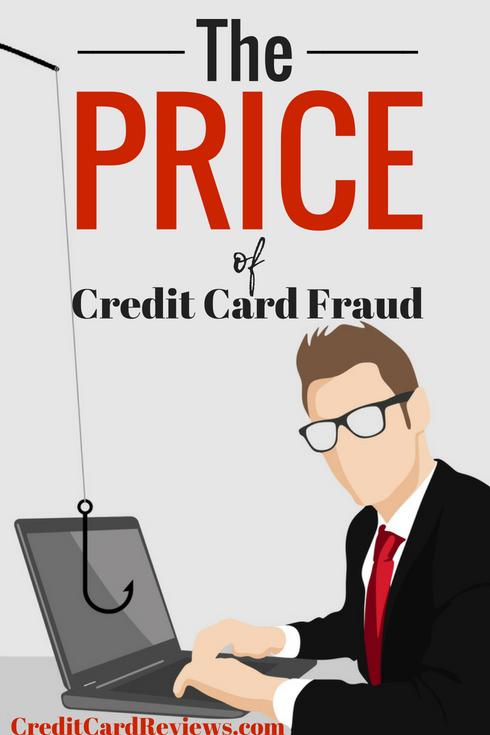 • As CNP fraud continues to rise, merchants bear a greater share of the cost of credit card fraud. Merchants generally cover CNP fraud, while card issuers cover CP fraud. • Merchants pass on the cost of CNP fraud through higher prices for goods, similar to how they cover the cost of shoplifting. So eventually, consumers end up paying for this type of credit card fraud. • One of the most frequent ways people currently have credit card information stolen is through e-mail hacks. Protect your e-mail account with a strong password. • To protect your personal data on web sites, use strong passwords everywhere. Use at least 10 characters with a mix of numbers, symbols, and some capital letters. • Don’t use the same password everywhere. Some people use a similar password that they tweak based on the site where they’re using the password to help them remember. • Carefully look over your credit card statement each month. Look for any transaction that seems odd. If you’re unsure about a transaction, contact your credit card issuer.